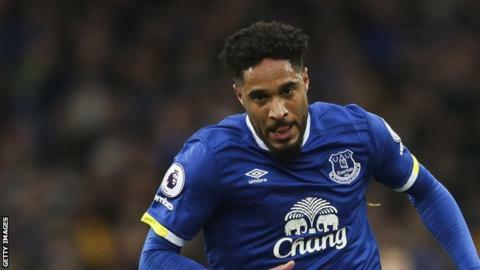 Everton defender Ashley Williams will not do his former club Swansea City any favours when they play each other on Saturday, according to Leon Britton. Williams, 32, signed for Everton in August of 2016 after spending eight years with the Welsh side. The former Stockport County centre-back, who made over 300 Swans appearances, joined the Toffees for a fee thought to be around £12m. "It's the first time he's been back and it's a big game for us," Britton said. He continued: "He won't be doing us any favours. Ash is Ash, he gives everything every time he stepped across the white line for us and Wales for many years. "Watching Everton, he's done the same there. He will [give everything] against us." Britton has found opportunities limited with the Swans this season, having made just 15 appearances, but did feature in their 1-1 draw against Manchester United at Old Trafford after being recalled for the victory over Stoke City. "It would be great to play against Ash because after so many years playing in front of him, I have a great relationship on and off the pitch," Britton told BBC Radio Wales Sport. "I got on very well with him so it would be great to be part of that game with Ash coming back. "We all know the quality he's got so it's going to be difficult to beat him, but hopefully on that day we can come out with a win and I can give him a little bit of stick."